CLOSEOUTS. 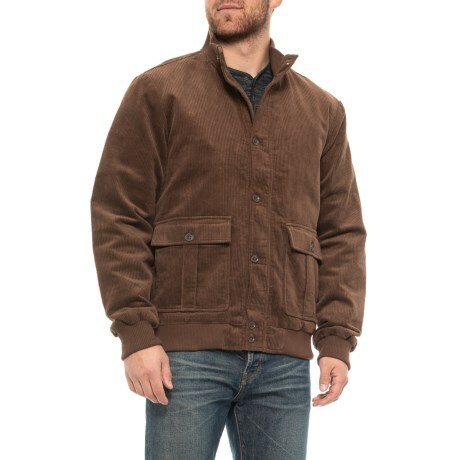 Made from soft, wide-wale corduroy, this Bobby Jones Vardon bomber jacket is perfect for crisp fall days. Available Colors: DARK BROWN, KHAKI, OLIVE, NAVY, RED. Sizes: S, M, L, XL, 2XL.